November 3, 2016 began as any other ordinary day for me. I woke up before my family as usual and attended my daily 5:30am spin class. I then began the typical morning routine of rushing to get the kids to school and preschool then hurrying to start my own workday. After I dropped the kids off, I made a stop at our local coffee shop for a pumpkin spice latte. It was a beautiful fall day in Colorado. As the barista handed me my latte, I was surprised I could not feel the warmth of the cup against my hand. I continued on however, grabbed a table and opened my laptop to check email and begin my day. As I began to sip and type away, the left side of my face started tingling. I stopped typing and took a deep breath. Up until that point in my life, I had never had a health issue. The only trips to the hospital were to have my two beautiful children. But... I knew something was very wrong and instinctively knew it was neurological. I texted my husband, "I think I am having a stroke" and then went to the nearest hospital as fast as I could. I was right. I suffered a stroke in my brainstem. The stroke was caused by a cavernous malformation that had bled. Weeks later it bled again. Another stroke. Then a decision to have brain surgery to remove the cavernous malformation. I prepared for surgery and recovered from stroke #1 and #2 at the same time. On March 15, 2017 I underwent a craniotomy at Weill Cornell/NY Presbyterian Hospital in New York City. My surgery was 100% successful. My recovery ... long. I could not walk, had double vision, balance issues, tinnitus, jaw tightness, and pain. I lost facial movement in the right side of my face and the neurofatigue was and still is sometimes paralyzing. But I am a survivor. I am recovering and learning. Here are the 4 most important things I learned from surviving stroke and brain surgery. There was more love around me than I ever knew existed before. I had incredible support from my husband and my family. They carried me through the entire process. I was amazed, however, at the people who I hadn’t heard from in years, or just people who knew my family that sent their thoughts strength and love. Meal deliveries would come, flowers, hugs and calls. Prayer groups formed and letters from people I didn’t even know would come to me. Just recently I got a note from my 3rd grade teacher whom I haven’t seen or spoken to in over 30 years - since the 3rd grade! She was my most favorite teacher of all. She made me feel I could do great things in life and I held on to those feelings long after I left her classroom. She had heard my story and wrote to tell me how inspired she was by my courage and bravery. I was stunned to hear from her. This note is one of the most precious gifts I have ever received. I also began to realize I needed the company of others who had been through what I was going through and how important and healing those conversations were to me. I joined support groups and met others and listened to their stories. I shared mine. This was invaluable and a critical turning point in my healing process. Even with all this love coming my way … it was (and is) very, very hard. As recovery went on and I finally went back home to Colorado, I had to learn how to ask for help, how to speak up when I knew I was pushing it physically and mentally and how to say no to a lot of things I wanted to do but simply was not ready to do. It was hard especially when I could not be there for my children like I wanted to. It was also a greater lesson in life ... to keep my own peace and pace and to love myself through patience and kindness. I am much stronger than I ever believed. I had to learn to literally put one foot in front of the other after brain surgery. As a runner, I was humbled by having to use a walker just to leave my bedroom those initial weeks. Every morning I would wake and the walker was the first thing I would see. I think I actually cursed at it one morning. I was determined to move on from the walker. I am now running 3-5 miles a few times a week. My goals in life are larger now than before because I know what to do in order to reach them. This whole experience is a blessing. Jasmine Harris had a stroke six months before her high school graduation. It started with a headache a couple days before Christmas. The family from Raleigh, North Carolina, had spent the day volunteering so her mother, La’Wana Harris, assumed her 17-year-old daughter was just tired. But the headache didn’t go away after taking a pain reliever. Then, the day after Christmas, she began vomiting in the middle of the night. La’Wana figured it was a stomach virus. La’Wana was picking up ginger ale and crackers the next morning when she got a frantic call from Jasmine. La’Wana drove Jasmine to a nearby hospital and demanded the triage nurse get them immediate help. The American Heart Association recommends people call 911 immediately if they experience stroke symptoms such as face drooping, arm weakness or speech difficulty. “Once they took her blood pressure, they called the code and doctors and nurses came running from everywhere,” La’Wana said. 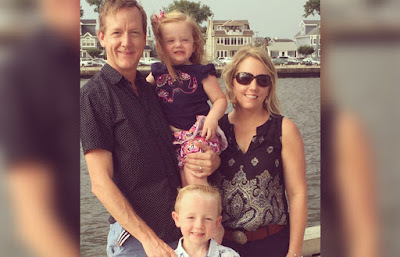 Testing showed Jasmine had a blood clot toward the back of her brain, along with a hemorrhage near her temple. Jasmine was put on life support and transported to Duke Children’s Hospital in Durham. Jasmine lost consciousness soon after arriving at the hospital and was put under sedation. She woke up three days later. Her speech and mobility were limited, and she struggled with short- and long-term memory. 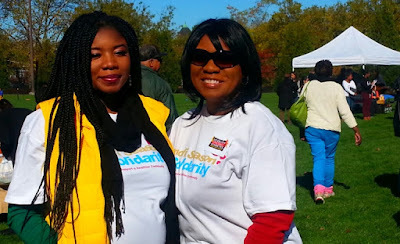 Jasmine Harris (left) with her mom, La’Wana, at a health fair in 2014. Doctors aren’t sure what caused Jasmine’s stroke. Such cases are referred to as cryptogenic strokes, which account for an estimated 30 percent of strokes caused by a blood clot. Stroke is the nation’s No. 5 cause of death and a leading cause of disability among U.S. adults. Although the rate of stroke deaths fell 38 percent between 2000 and 2015, that pace has slowed for African-Americans since 2012, according to a recent report by the Centers for Disease Control and Prevention. African-Americans are most likely to die from stroke, the report said. Following her stroke, Jasmine underwent outpatient therapy to rebuild muscle strength and help her body relearn how to do everyday activities. Household duties shifted, with Jasmine’s father, Eddie Harris Sr., taking over the cooking and other chores so that La’Wana, who took time off work, could pour herself into helping Jasmine recover, advocating for her care, learning about new therapies and trying to understand more about stroke. mother La’Wana and father Eddie Sr.
La’Wana grappled with anxiety, not knowing whether a full recovery would be possible for Jasmine and navigating the ups and downs of the months that followed. “Being a caregiver, it’s a huge responsibility, but it’s also an honor,” La’Wana said. Jasmine was able to graduate high school on time and attend the Art Institute of Charlotte, where she pursued a major in fashion marketing. Now 22, Jasmine said the experience has motivated her to make lifestyle changes to protect her heart and brain health, including avoiding the junk food she favored as a teen, eating more, drinking water instead of soda and getting plenty of exercise. Lifestyle changes are part of the plan that stroke survivors should develop with their doctors to prevent a second stroke, according to the AHA. Medications to manage stroke risk factors and the addition of a blood-thinning drug such as aspirin may also be part of the tailored prevention plan. 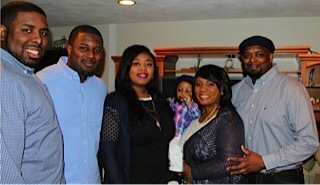 After taking a break from school to have her son, Jaden, who is now 2, Jasmine is now taking classes online and starting a mentor program called A Queens Etiquette to help teen girls handle peer pressure and bullying, and develop good study habits in preparation for college. Stroke survivors are all familiar with the notion that every stroke is different, every survivor is different and so recovery means different things to each individual. An important follow-up to these notions is that each survivor and their caretakers need to actively participate in their individual recovery. Each survivor will experience any number of physical and/or mental deficits and be approached by any number of healthcare professionals about treatments and therapies that can enable recovery. Trying to address every deficit at once can be difficult if not impossible for the new survivor. The stress of doing so can be overwhelming and may even result in more damage. In ideal circumstances a team of healthcare professionals, including doctors and therapists, will help the patient determine a sensible approach to rehabilitation. A good team will begin by assessing the deficits and determining, with the survivor and caregivers, what the survivor’s priorities are. Of course, issues like eating and swallowing will be priorities for everyone. But once those are addressed other priorities should be managed by the survivor and caregiver. They should become active in the recovery process. Asking questions is the best way to start to understand why certain therapies are added to the routine. These questions will help the survivor to better manage their expectations. When will my hand begin to move again? How long might it take till I can walk again? The answers will likely be uncertain but those discussions will help the survivor manage the recovery process. Understanding how the body and brain heals itself will provide insight into one’s adventures through therapy. Typically, recovery is not overnight and requires setting of long term goals. Managing of recovery and becoming comfortable with your new situation becomes even more important after your immediate recovery team is disbanded. You are sent home or to another new facility to continue with recovery. The patient and caregiver need to balance their expectations and progress over time. A growing list of medications to manage spasticity, high blood pressure and other issue needs to be balanced against the side effects and their effect on one’s quality of life. My experience was leaving the hospital with a list of meds that addressed the doctor’s concerns but had a seriously negative effect on my quality of life. That same regimen of meds led to a profound disruption of sleep and ongoing fatigue that left me unable to function during the day. My response was to address these concerns with my doctor and work with him, balancing the meds and their side effects while maintaining a quality of life that I found acceptable. Over a few visits we reduced the number and dosage of meds eliminating many of the fatigue and sleep issues. Over the years my doctors realized my resistance to simply adding additional meds to my existing regimen. I have taken on an active role in management of my recovery and quality of life as I deal with the remaining deficits. My doctor and I discuss changes carefully before new meds are added or additional therapies are scheduled. We often arrive at a point where I agree to try the meds but the decision as to their effectiveness, and whether to continue with them is left to me. It is easy to simply follow the doctor’s advice and directions but survivors must be careful when they leave those decisions completely up to the doctor. Good doctors will encourage this participation, but it is up to the survivor to ensure that this happens. We each hopefully arrive at a point where we need can successfully adjust to a new life where we can balance our new capabilities with an acceptable quality of life. To do that we need to actively participate all along the way. David had a stroke in 2005 ending his career as a logistics consultant. Since the stroke he returned to college for a Sociology degree. He is a peer counselor, facilitates a local stroke support group, volunteers at the local United Way and writes for The Stroke Network.